This plant is commonly referred to as an elephant ear due to its large leaves. It goes through various stages of development. 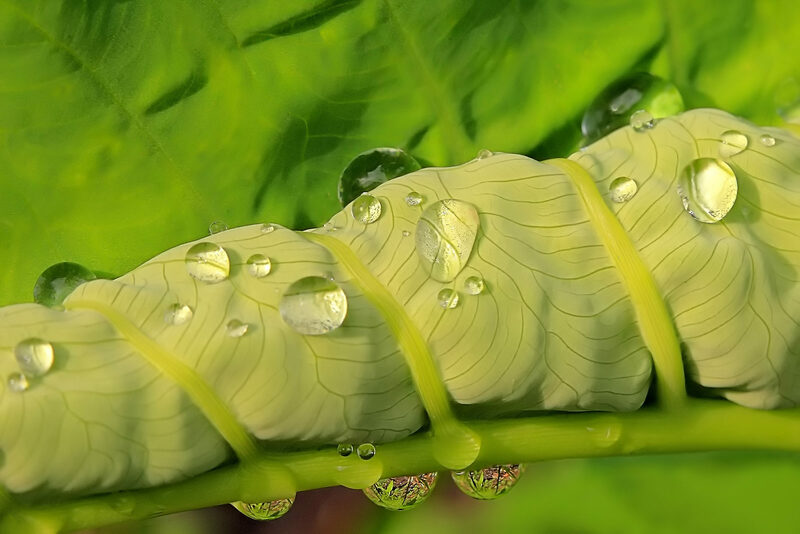 Here it displays the uncurling of a new leaf with a sprinkling of morning dew drops.